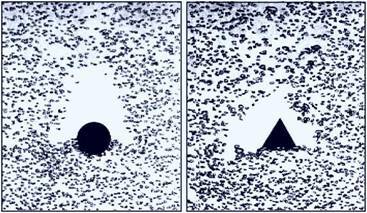 (1) A.Kitagawa, K.Sugiyama, Y.Murai, Experimental Detection of Bubble-Bubble Interactions in a Wall-Sliding Bubble Swarm, Int. J. Multiphase Flow, 30 (2004), 1213-1234. 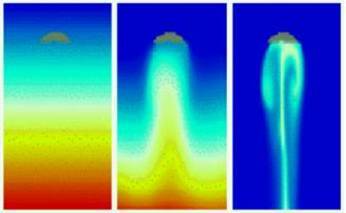 (2) Y. Murai, et al, Inverse Energy Cascade Structure of Turbulence in a Bubbly Flow, JSME Int. J., Ser. B, 43 (2000), 188-196. 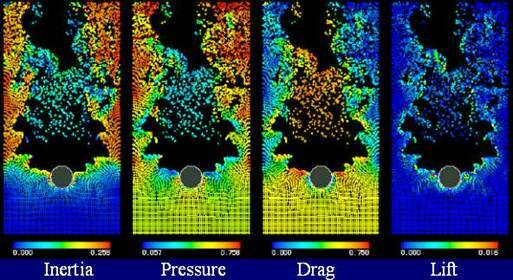 (3) Y.Murai, Y.Oishi, Y.Takeda, F.Yamamoto, Turbulent Shear Stress Profiles in a Bubbly Channel Flow Assessed by Particle Tracking Velocimetry, Exp. Fluids, 41 (2006), 343-352. 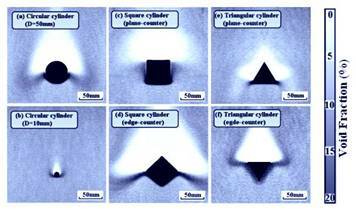 (4) Y.Murai, T.Sasaki, M.Ishikawa, F.Yamamoto, Bubble-Driven Convection around Cylinders Confined in a Channel, ASME J. Fluids Eng., 127 (2005), 117-123. (5) A. Inoue, et al., Studies on two-phase cross flow. Part I: Flow characteristics around a cylinder, Int. J. Multiphase Flow, 12 (1986), 149-167. (6) A. Kitagawa, Y.Murai, F.Yamamoto, Two-way Coupling of Eulerian-Lagrangian Model for Dispersed Multiphase Flow using Filtering Functions, Int. J. Multiphase Flow, 27(2001), 2129-2153. (7) A. Serizawa et al., Experiment and numerical simulation of bubbly two-phase flow across horizontal and inclined rod bundles, Nucl. Eng. Des., 175 (1997), 131-146. (8) T. Uchiyama, Numerical analysis of air-water two-phase flow across a staggered tube bundle using an incompressible two-fluid model, Nucl. Sci. Eng., 134 (2000), 281-292.